This weekend you might be having friends over to watch sports on tv. No matter what your game, you need something that is comforting, fun, and not too much of a hassle to prepare. You also need a wine to go with it. If so, pick up a bottle of Zinfandel and the ingredients to make these relatively healthy, entirely decadent-tasting Buffalo Chicken Paninis. They have all the taste you love in that bucket of spicy wings, but they aren't going to make you feel guilty (well, not that guilty!). Toss a big green salad together--maybe one with shredded carrot, romaine, sliced celery and blue cheese dressing to complement the sandwiches--and you'll be ready to settle down in front of the TV. 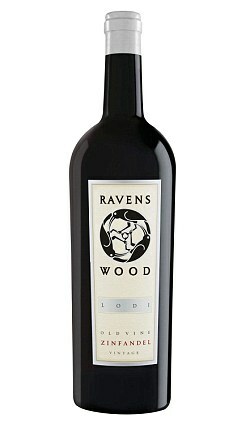 As for the Zinfandel, I'd recommend the very good QPR 2008 Ravenswood Old Vine Zinfandel from Lodi (suggested retail $13; available in the market for $8-$15). Ravenswood makes good Zins from a variety of appellations, but this one is my favorite with this sandwich. Its cool blueberry and rich plum aromas and flavors are accented with nice cracked pepper notes. The pepper and spice continues through the juicy aftertaste, and stands up nicely to the hot sauce and blue cheese in the sandwich. Thanks for the post! I'm going to go out and make that recipe! My husband is a big zin fan and we always have it in the wine fridge! I'm having a few friends over for chili and this sounds fun. I have this exact wine open right now at home. Ravenswood (and the other "R"s of Zin - wRenwood and Rosenblum) all give us some great Zins. Glad to see my current bottle featured! So my business partner would probably kill me for saying so, but I think Ravenswood does a pretty good job considering the price point they work in. At under $10 most of the time (is it always on sale, or just me?) I simply want a fruit forward wine which is drinkable!